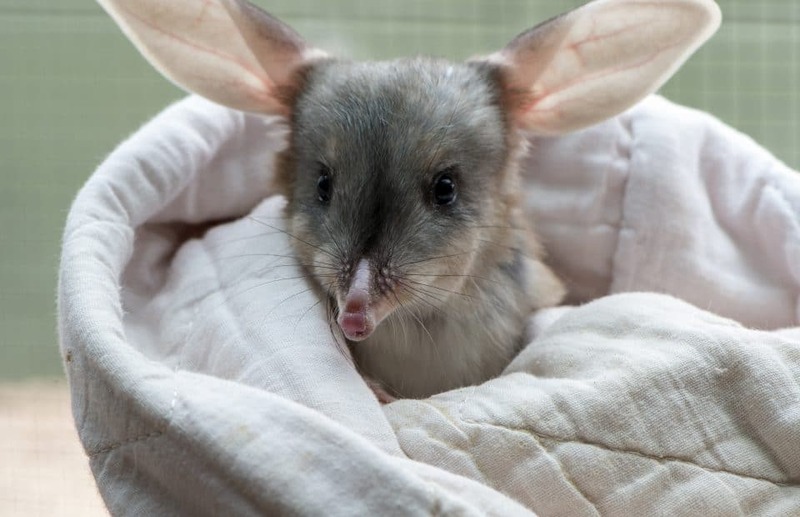 We’d like to introduce you to a special animal, the Easter Bilby. He’s a celebrity in Australia although he may be less known by some of you. 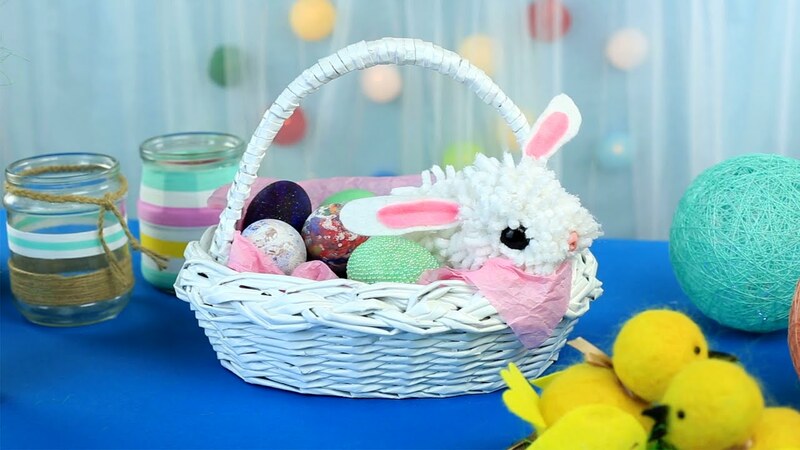 The Easter Bilby is busy this time of year, so we’re going to talk to a close friend. Billy Bilby, welcome to Cheeseland. Thank you for taking the time to introduce us to the Easter Bilby. No worries, I’m happy to be here and spread the word about the Easter Bilby. After all, we bilbies are having a problem with our population declining and want people to be aware that we even exist. 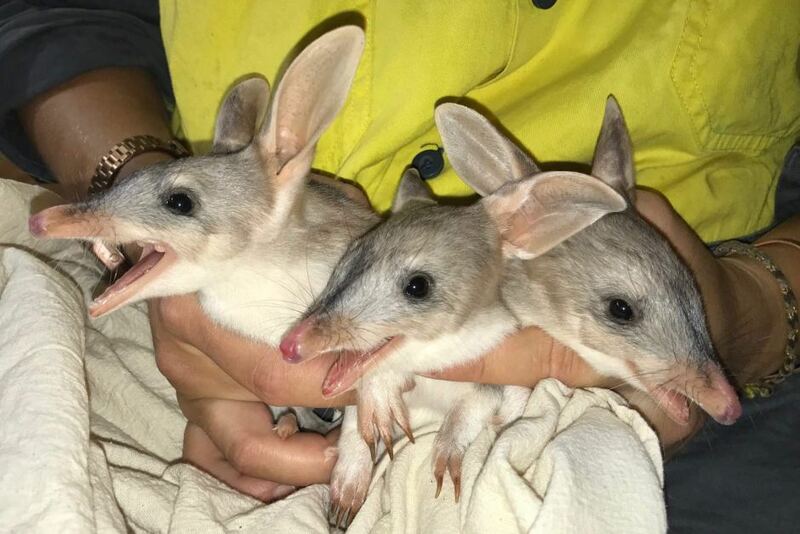 On that note, can you tell us a little bit about bilbies? We’re small, furry marsupials who live in the desert. Our bodies are about 55 cm/22 inches long and our tails about 29 cm/11.5 inches. We weigh about 2.5 kg/5.5 pounds. We have long noses (excellent sense of smell) and large ears (excellent sense of hearing and help keep us cool). The ladies are about half the size of the gents. We have extremely soft fur that is mainly blue-grey with white tummies. Bilbies live in fancy burrows. We only come out and night and will eat anything. Two fun facts about bilbies? So how did the Easter Bilby replace the Easter Rabbit in Australia? 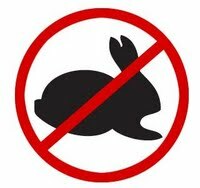 Unfortunately, rabbits are not very popular in Australia. They were brought in by the Brits in the 19th century and reproduced until they had taken over the country. 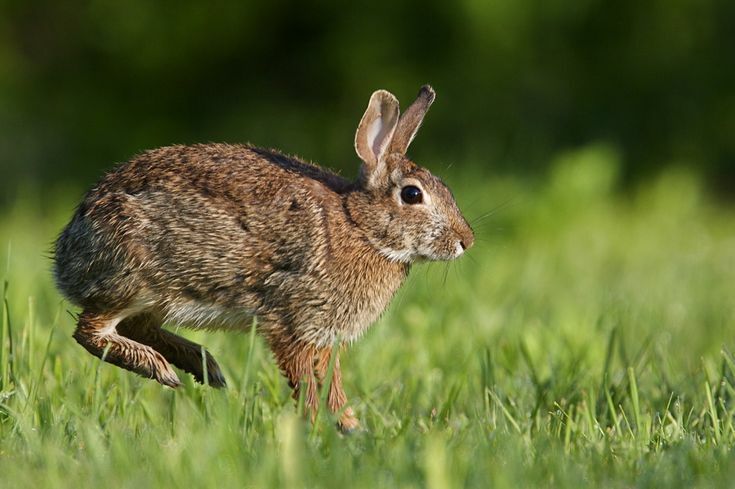 Rabbits drove some of the native animals and plants to extinction. 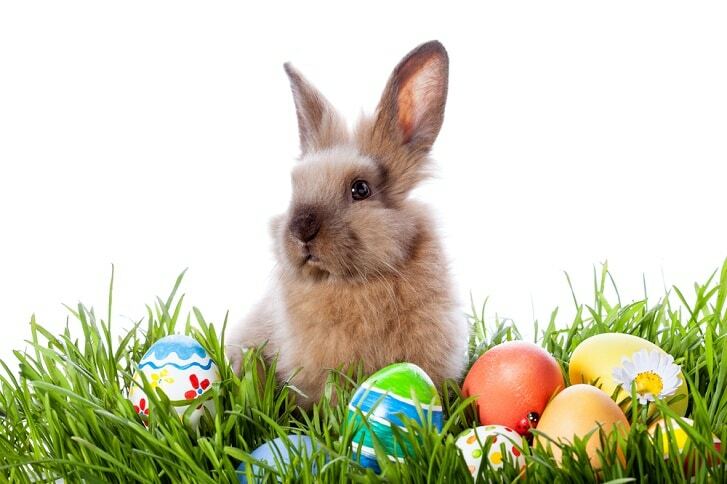 In the 1990’s, the humans decided that the rabbit had to go as the symbol of Easter. They wanted something native to replace it. Since we look something like a rabbit (ears only), we got the job. We’ve been around Australia for a very long time. And the tradition has stuck. Yes, but we’ve lost the association with the anti-rabbit people. Now it’s more of a survival issue. You see, we’re endangered in some parts of Australia and vulnerable in others. 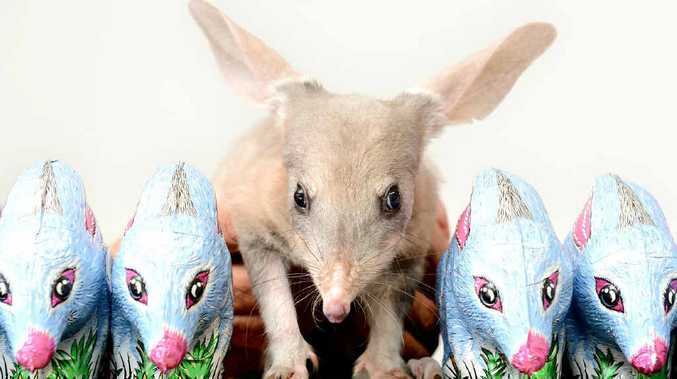 Is the Easter Bilby tradition working? It seems to be. There is much greater awareness of who we are and why we are important residents of Australia. In fact, The Commonwealth of Australian Endangered Species Program has chosen us as a mascot, so we’re becoming famous. They have even started to introduce populations of us into places that haven’t seen bilbies in a very long time. Did you know that we once populated 70% of Australia? And that’s a big place! What does the Easter Bilby do? Pretty much what the Easter Bunny does. Except he delivers chocolate bilbies instead of chocolate rabbits. And he runs rather than hops. Do you think the idea of the Easter Bilby will spread? Probably not. The rabbits pretty much have a lock on the market. But that’s OK. We only live in Australia and want to continue living here for a very long time. We have no plans to invade Britain. 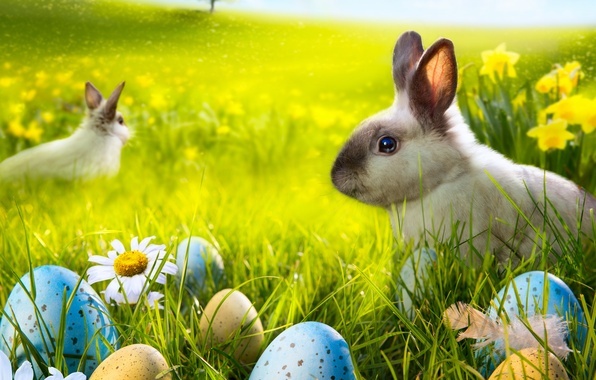 Trivia – In March 1968, 9-year-old Rose-Marie Dusting wrote “Billy the Aussie Easter Bilby.” She published it 11 years later. Sales Pitch: Chocolate bilbies are produced by Pink Lady and Haigh’s Chocolates. (Cadbury pulled out of the market shortly before Easter.) The companies give a percentage of sales to conservation efforts. Pink Lady parent company, Fyna Foods manufactures chocolate bilbies as part of the Australian Bush Friends Easter chocolates. A percentage of the Bush Friends sales is also donated to the Save the Bilby Fund. My family has always exchanged stockings on Christmas morning. When I was little, the goodies always included a red apple, a yellow apple, an orange and a tangerine. I remember being disappointed that Santa was so health conscious. All I’d ever seen him eat were cookies. Years later, my son commented on always receiving shampoo and body wash in his stocking. You never see Santa bathing or changing his clothes either. I’m guessing Mrs. Claus has some influence on what gets included. At one point, I spent a lot of money on stocking stuffers. (The amount I spend has never had any direct correlation with the amount I have, by the way.) I would wander the malls looking for things that would fit in a stocking. There are more than you might imagine. One day, a friend finally explained to me that the concept behind a stocking was that it was filled with little inexpensive things like candy canes and chocolate Santas. Oh. Like the idea that you break up with someone before you give him the expensive gift. I never was good with money. Enter the dollar store. My first experience with dollar stores was not positive. It was located in a strip mall where I worked. The neighborhood had seen better days (I hope). It was poorly lit, crowded with merchandise, and not very clean. From what I looked at, the reason it was crowded with merchandise was that no one would take that stuff at any price. I could not understand why everyone was raving about dollar stores. Were my friends really that cheap? A few years went by. I got another job, and drove past a dollar store every day on the way to work. One day I stopped to look around. It was incredible. There were office supplies, craft supplies, school supplies, candy, wrapping paper, all sorts of things. They even had the metallic pipe cleaners my son used to make rabbits (they look better than they sound). I’m not really a shopper, but I looked at everything. I was totally hooked. At Christmas, I fully stuffed all the stockings for under $50. My dollar store was not part of a chain, so you can guess what happened next. I drove by one day and the owner had sold the shop. The new owner must have been related to the first shop owner I encountered. I was traumatized. I was not going back to spending $7.95 for a Mylar balloon. I had to find a replacement. My next stop was what I’ll call a pseudo-dollar store. It’s a national chain. A lot of the stuff was one dollar, but the rest was brand-name at discounted prices. This store was the source of most of the health and beauty supplies I bought for a few years. They even had fashion-name make-up for a dollar. It had to be labeled ‘discontinued color’, but in Michigan who knows the difference? The odds of running into Beyonce wearing last year’s eyeliner are pretty low. Alas, I had just made the full commitment when it disappeared. They opened a dollar store a few miles away from our house. Coincidentally, it’s the same chain that has a store on my way to work. My daughter wanted to stop by one night. It was great! The candy, the pens, the wrapping paper. All was well in the dollar world again. Last Christmas I even bought some nice wrapping paper at the one close to work. Things were a little crazy this year getting ready for Christmas. Both my daughter and my mother have been ill, so shopping took a back seat to that. I didn’t get to stocking stuffers until two days before Christmas. No big deal – I’d just stop by the dollar store on the way home and I’d be set. We’d have a few more pens and pads of paper than usual, but it’d be OK. Imagine the look on my face when I opened the door to find that the only wrapping paper left was covered with Justin Bieber. (I didn’t need paper, but it was still traumatizing.) I moved on to the candy. It was appalling – I could only get chocolate-flavored or chocolatey. There was no actual chocolate! Luckily I did have a back-up plan for that – I had bought some of the family’s favorites at work because I knew I would never find it in the dollar store. I went to toiletries. No nail clippers. No floss. Icky toothbrushes. No body wash for men. No make-up. Large bottles of lotion from some company I’d never heard of, in a scent I didn’t know. This was totally unacceptable. What was I supposed to do? I went to office supplies. Very few pens. A few memo pads. I tried to think of where else I might go as I wandered the aisles. I finally found some snacks – trail mix, peanuts, etc. Stain remover pens. Socks (not even from China). Packaged, non-Christmas candy. At the counter I found some lip balm. When I filled the stockings, all was well (although there was LOTS of candy). I’m already planning to stake out the dollars stores next fall to find the best place to go. In the meantime, I’m going to size up the fruit. Back in the days before kids, I bought my husband a membership in a wine-of-the-month club. It went well, so the next year I tried the spa-item-of-the-month. That was nice too, although I think we may still have a container of powdery stuff that’s supposed to go on like lotion (or something like that). 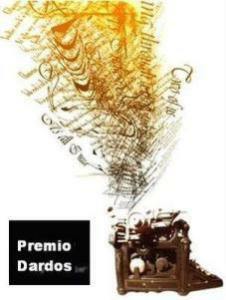 In case you might be interested in sending this type of gift, I have done you the service of researching a few. You don’t have to thank me, chocolate will be fine. If you’ve been paying attention the past few months, a couple of these should come as no surprise. “When Pigs Fly: American Bacon Club” is brought to you by the Ann Arbor-based Zingerman’s deli. What could be better – bacon from the home of my alma mater? You can get 3 months for $99, but you might want to go for the 6-month plan at $189. It includes Balinese Long Pepper Bacon. I assume that the long pepper is from Bali, not the pig. But the recipient would never know. Next we move on to Murray’s Cheese of the Month Club. You can get a four-month membership starting at $275. Each month the recipient will get 1.5 pounds of cheese from various sources (cow, goat or sheep). I would make sure your loved one likes to eat almost anything. One year a friend got us cheese hand-made by monks in some famous abbey. It was a soft cheese and when we melted it, it smelled (and tasted) like dirty socks. Want something sweet but not chocolatey? I’m not sure what’s wrong with you, but try a quarterly shipment of Capogiro’s gelato. (It’s kind of a creamy sherbet for you provincials.) They send six pints at a time in what they call hyper-seasonal varieties. I’m not cosmopolitan enough for these flavors, but perhaps someone you know is. They include honeysuckle, rhubarb and sweet potato. Only $240 for the year. Then we have the above-mentioned wine clubs. The most cost-effective (cheapest) option I found was a $29.98/month club offered by wine Library TV. You get a red and a white for that price. It is the same price I paid 15 or so years ago. I’m guessing these are not of that quality. But I could be wrong. Looking for something stronger? Stirrings offers a 12-month plan of drink mixers for $180. They are advertised as flavorful, original, and all-natural. Once again I would recommend that you only send this assortment to someone who will try almost anything. Flavorful and original mean different things to different people. Not a drinker? How about the Counter Culture coffee plan? The beans are fresh-roasted and seasonal. Don’t all coffee beans come from more-or-less the same part of the world? The hot part? How seasonal can it be? You can get a 3-month subscription for only $79.95. These final three clubs are for those of you who really want to impress. We start with the Organic Vegetable Club. (Disclaimer: The ad is addressed to people shopping for a woman. If you are shopping for a man, this is not an appropriate gift.) It’s kind of an open-ended offer. You can choose how much you want to send (5-15 pounds) and the number of deliveries per year. Five pounds for 3 months costs $119.99. It doesn’t say anything about being seasonal (or local), so you might need to keep an open mind. A little more indulgent? Holy Smoked Salmon has a smoked salmon of the month club. There are more types of smoked salmon than you might imagine. Once again remember the open mind about flavors. It is described as silky, spicy, salty, supremely good salmon. Hopefully it is as good as its copywriter. Finally, for the well-off Ernest Hemingway types, I recommend the Kobe and Cab Club. It is offered by Signorello Vineyards in Napa Valley. Three times a year someone would receive “a rich, buttery, marbled piece of Kobe beef (note single serving) and a tremendous glass of Cabernet (I assume they send an entire bottle).” At $390 per shipment, it’s probably too expensive to send to get even with the evil vegan who just broke up with you. But it might impress the father of the new one. Upside to these gifts: you don’t have to wrap it. Downside: if they don’t like it (or you), they will be reminded every few weeks throughout the year.